Spotify is about to get a lot more psychedelic – Pink Floyd has just announced via their Twitter feed that they will be releasing their catalog as soon as “Wish You Were Here” is streamed 1 million times on the streaming service. This is fantastic news. Help the cause, click the link and let’s see what all they’ve got in store for Spotify’s over 24 million active users. 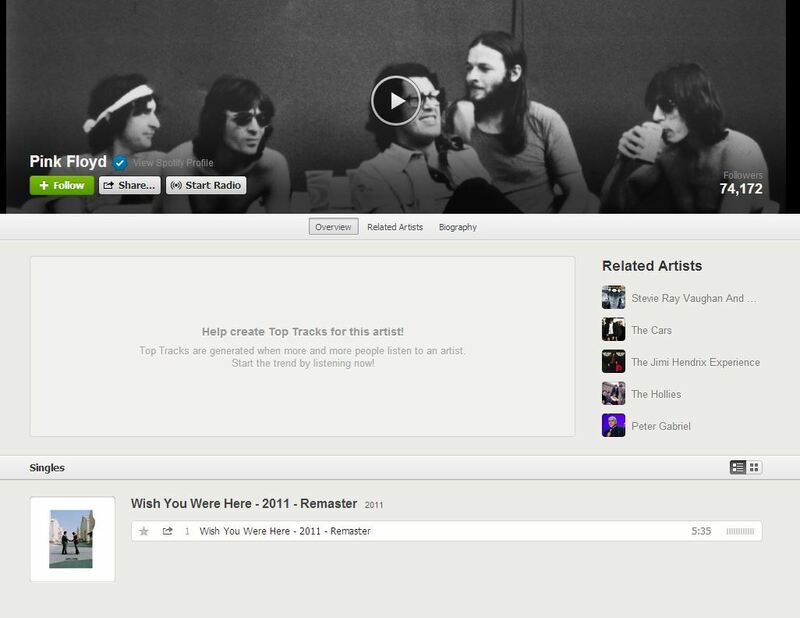 Finally, you can go direct to Pink Floyd’s Spotify page here. Gotta love when the classic bands start embracing emerging technologies. It’s a beautiful thing. Update (6/17): the internets made it happen — Pink Floyd’s entire catalog is now up on Spotify.